Ocean City MD Vacation Rental – Quay 0308 | North Ocean City (94th St to DE Line) Ocean City MD Rentals. QUAY #308 10700 Coastal Hwy. Mini- Week Rental Non-Smoking 1,512 Sq. Ft. Fantastic renovated low floor 3 bedroom, 2 bath unit with amazing ocean views! 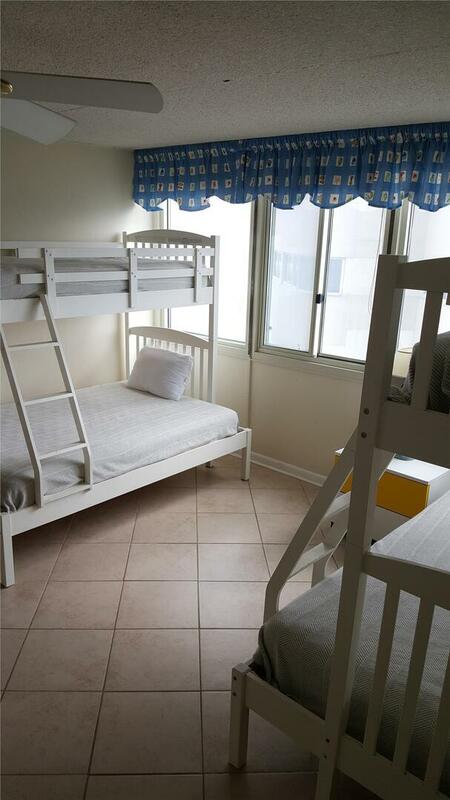 Comfortably furnished with lots of personal touches and beachy decor. Living room has a queen sleep sofa and a matching love seat, along with rattan entertainment center. Large dining room table seats 6 plus 5 barstools at counter, and an additional small game table that seats 4. You will find a TV in the living room and each of the bedrooms, along with 3 DVD players and 2 VCRs. King bed in the Master, Queen bed in the second bedroom, and two Pyramid Bunks in the 3rd bedroom. Newer appliances and granite countertops in kitchen and tiled floor throughout the unit. Both bathrooms fully renovated. Washer/Dryer in Unit. This is a non-smoking unit with a maximum occupancy of 10. Building amenities include a heated indoor pool, a heated outdoor pool, tennis court, ping pong tables, free wireless internet access in unit and an arcade game room which includes pool tables. Convenient check-in / check-out from our L&F Rental Office on the 2nd floor. The Quay charges a $40 non-refundable building registration fee which includes parking for 1 car, second car first come first serve with a price of $10 a day or $50 week which is done upon arrival with security , the fee runs from April 26 through October 24.